Searching for family. In the early twenty-first century, zombies have taken over America. A shy and inexperienced college student in Texas has survived by following his 30 rules: such as “look in the back seat,” “double-tap,” “avoid public restrooms.” He decides to travel to Ohio to see if his parents are alive. He gets a ride with a boisterous zombie-hating good-old boy headed for Florida, and soon they confront a young woman whose sister has been bitten by a zombie and wants to be put out of her misery. The sisters were headed to an LA amusement park they’ve heard is zombie free. Can the kid from Ohio get to his family ? And what about rule thirty one ? – The movie has been shot in 42 days. – Director Ruben Fleischer has said that he was inspired to make this by Shaun of the Dead. – The script, originally a television pilot, was heavily revised to become a feature film. – Unadjusted for inflation, this is the highest-grossing movie in the US to begin with the letter “Z”.  – Amber Heard only had two days to prepare for her role in the film Zombieland. 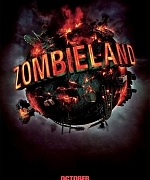 Click here to see all the pictures of Amber Heard from “Zombieland” in the gallery of the website. 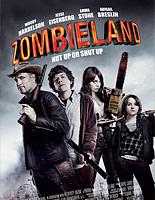 Buy your dvd or bluray copy of ‘Zombieland’ online on Amazon now.